Digitising old photos, slides and negatives can enable you to show them to people, family and friends all over the world and it doesn't have to be as hard work as you think. The first ever scanner was built in 1957 believe it or not but the process of scanning photos has only become commonplace in the past 20-30 years as digital cameras have replaced analogue versions. People scan their photos for a wide range of reasons including to preserve them and to organise them in a better way. Digitising images from photos, slides and negatives lets you store them in a safe way that is also cost effective and space saving. As well as the safe and secure benefit of scanned photos, a large number of people are now digitising their photos to share them with family, friends and, well, anyone really. Arguably one of the first ways digital images were sent, email has become one of the primary methods of communication for people separated from friends or family. The world of social media is now huge with the big players like Facebook, Twitter, Instagram and Pinterest attracting millions of visitors daily. A lot of us enjoy putting photos on our social media profiles of the memories we're making but also of past memories with #TBT (Throw Back Thursday) being an incredibly popular hashtag on a number of these site. Without the ability to scan photos, this trend would never exist. A lot of people who use websites (and blogs) to promote personal brands and projects benefit from the ability to have digitised photos available for uploading. One of the biggest websites to benefit though is ancestry.com which relies on it's users to upload photos from family archives of relatives and ancestors to build family trees and networks. CDs & DVDs have become the photo albums of the digital world. Instead of boxes of albums gathering dust and taking up space in the attic, people can now store thousands of photos in a small pile of CDs. Our services at Pearl Scan are there to help digitise archives of old photos, negatives and slides to enable people to share them in the ways mentioned above. 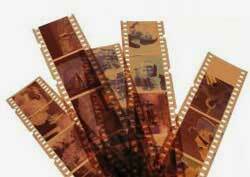 Each photo, negative and slide scanning project is tailored to suit the needs of the different clients we help. We have seen our clients enjoy a wide range of benefits from having the images digitised and sometimes enhanced for better quality. For more information about how we scan slides, negatives and photographs at our secure scanning bureau, give us a call and request your free quote.